Director Steve Pink and writer Josh Heald have been pretty apt at predicting the future thus far with their upcoming time travel comedy sequel Hot Tub Time Machine 2. First, they were able to throw together a Super Bowl trailer that perfectly parodied the New England Patriots Inflate-Gate scandal. Now, a new clip has arrived that predicts Jessica Williams will be the new host of The Daily Show as the Comedy Central mainstay becomes a leading source in global news. As you may know by now, Jon Stewart announced earlier this week that he is leaving The Daily Show by the end of the year. Now, we get a sneak peek at what his absence might feel like. And it doesn't look half bad. Of course, this is ten years away, so it's any guess who might step in for Jon Stewart before Jessica Williams takes over the hot seat. 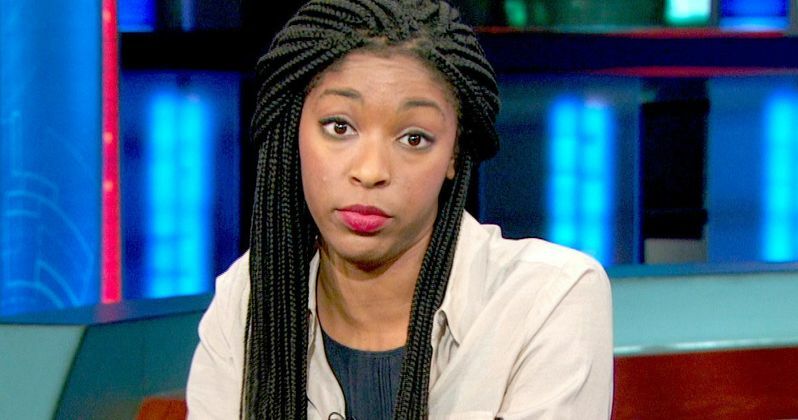 As you may or may not know, Jessica Williams is currently a correspondent on The Daily Show, and it doesn't look like she's aged a day in over a decade.